Introduced in 2017, the 40 mm case of the School Piece (or Montre Ecole in French) was inspired to the first timepiece that Mr. Laurent Ferrier created in his watchmaking school years, a pocket watch characterised by lines and finish typical of the 19th century tradition. Details like the straight, thin lugs and the “pastille” end-piece decoration mirrored by the winding crown emphasise the vintage look of the timepiece. 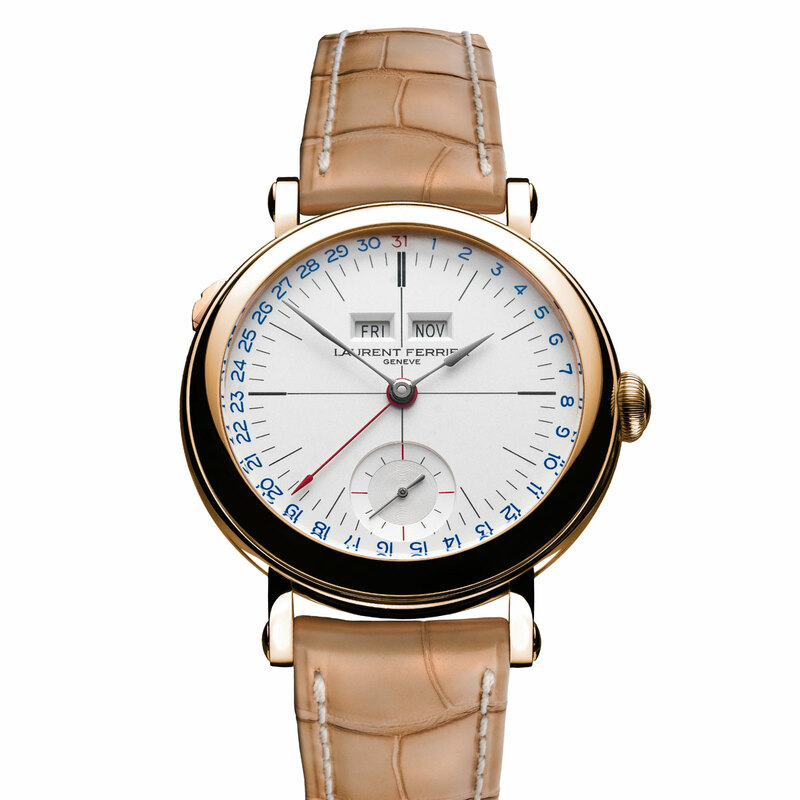 The new Galet Annual Calendar School Piece Opaline Black & White models feature opaline black or opaline white dials with vintage-inspired numerals painted in dark blue for white dials or light blue for dark dials. The 31 and the central hand indicating the date are burgundy on white or red on black. The gold Assegai hands and baton-type seconds hand retain their characteristic shape. The sub-dial at 6 o’clock has a circular satin brushed outer circle and a snailed finish in the centre. 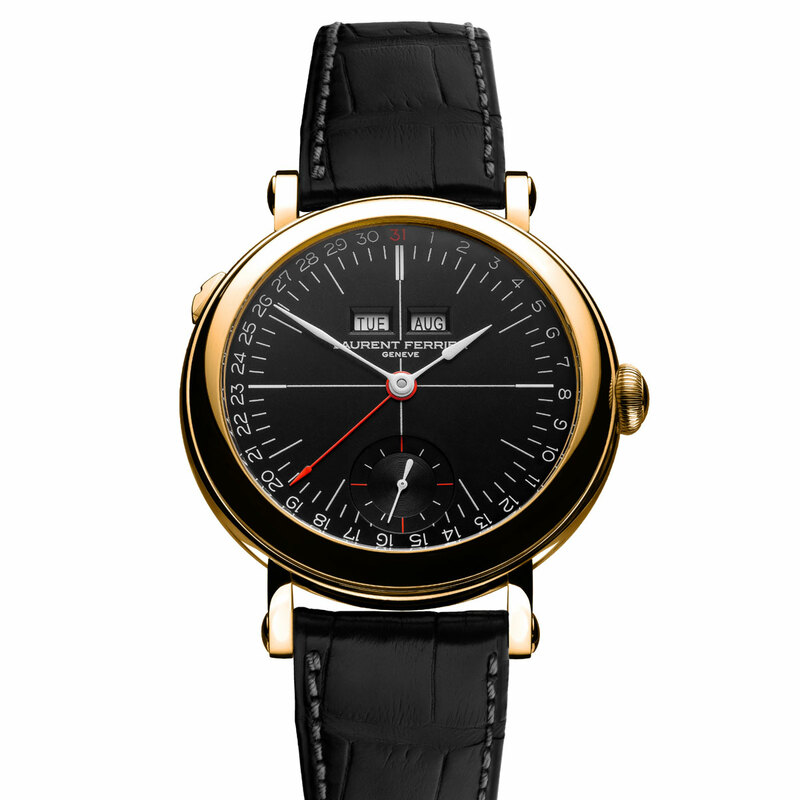 As you would expect from an annual calendar, the dial display the date, the day of the week, and the month. The calendar automatically recognises months with 30 and 31 days and only needs to be manually corrected by one day on March 1 of each year. The date is indicated by a central hand and the days of the week and the months in two beveled apertures. The days of the week are updated by simply pushing the “easy to grip” button integrated on the left side of the case. 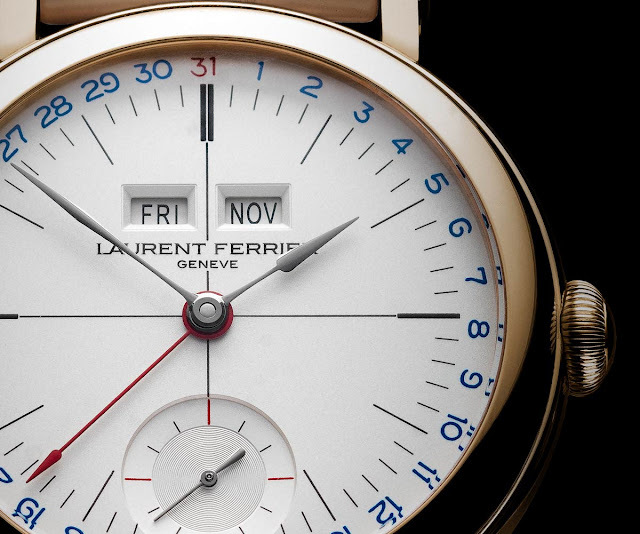 The fast-adjustment of the date can be made by turning the crown forward and backward, allowing the month to be automatically updated accordingly. The Galet Annual Calendar School Piece Opalin Black & White models are powered by the hand-wound Caliber LF126.01 equipped with a power-reserve area indication positioned on the movement side. The power reserve is guaranteed for 80 hours. The sapphire crystal case-back provides a view of the beautiful finishes. 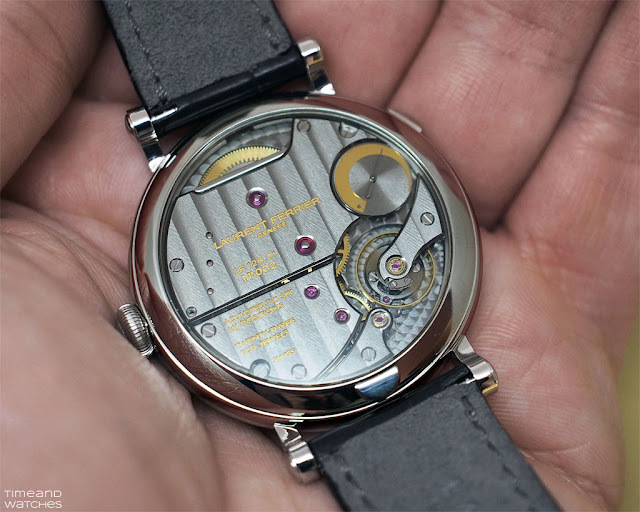 In addition to the Côtes de Genève motif with a ruthenium treatment adorning the bridges and the circular-graining of the mainplate, the sides and interior angles are manually chamfered and the screw heads are polished. 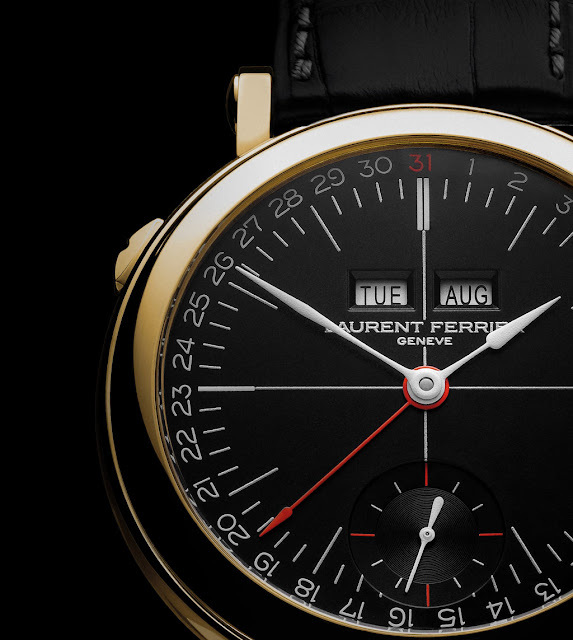 Following the launch in 2018 of the Galet Annual Calendar School Piece, Laurent Ferrier is now adding two variations with opaline dials to its collection. 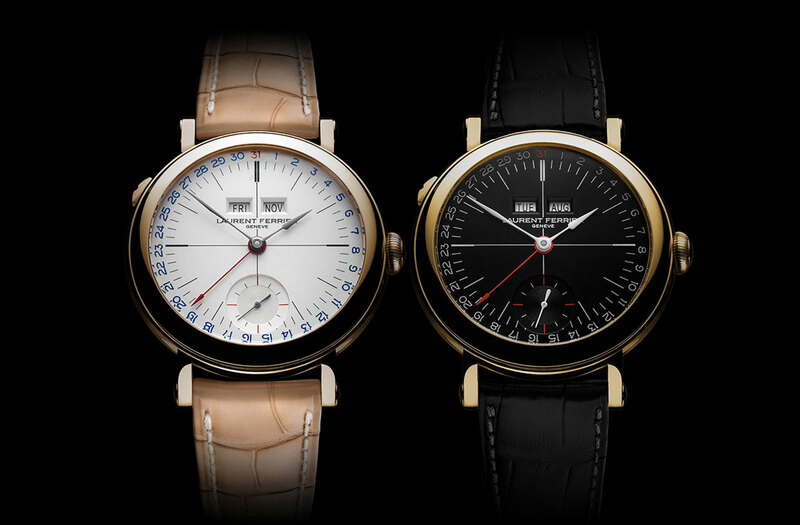 Price and specs of the The new Galet Annual Calendar School Piece Opaline Black & White models that will be officially presented at SIHH2019.